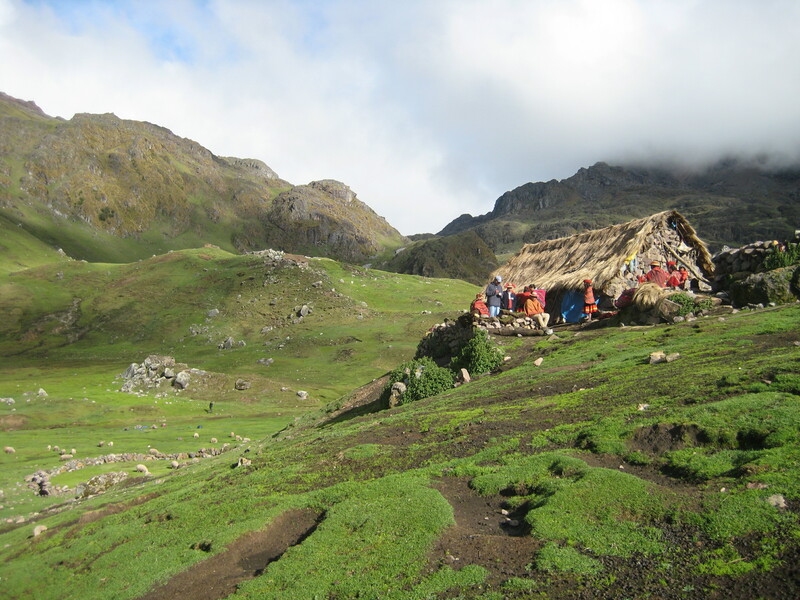 Reinvigorated – we found out that we still had a good half hours walk uphill to where the alpacas were pastured – spectacular craggy peaks, with clouds swirling about and the Ipsayccasa Pass (4500m) to our left… breathtaking because of its altitude but also the sheer remoteness. 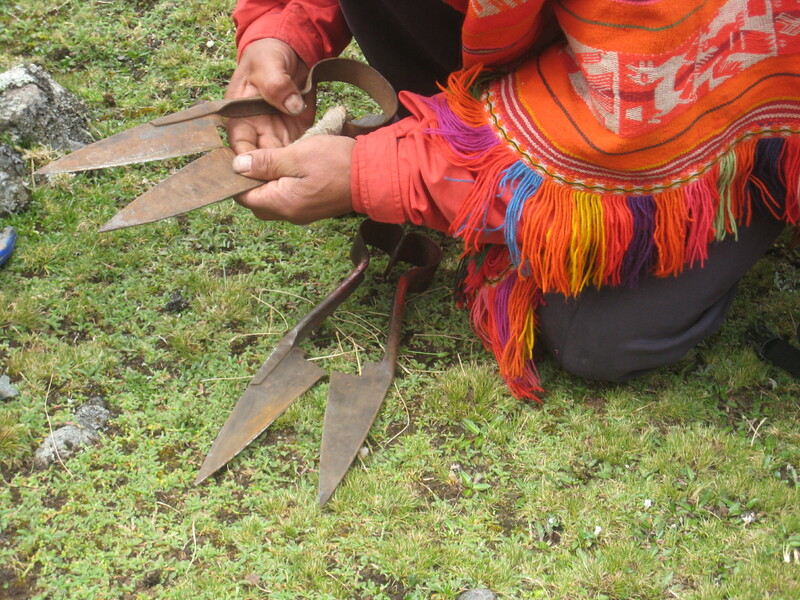 As Norman was still coming with the “despatch” – ingredients for a proper ‘payment’ to the earth, Fortunato said we could just do the payment to the Apus using the ingredients that they had on hand – huayruro (the red seed from the jungle), kanichiwa, various herbs, and dried blossoms. 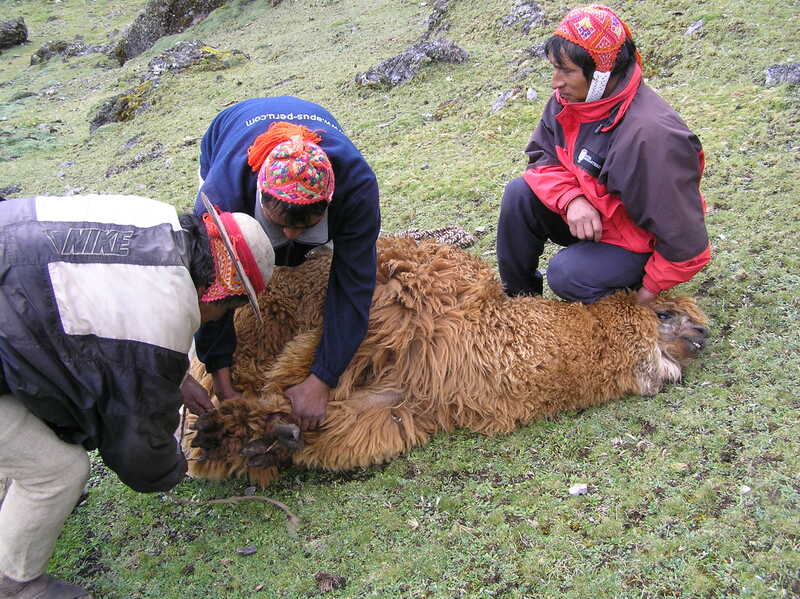 (A full dispatch has a very wide range of items, including a dried llama foetus). 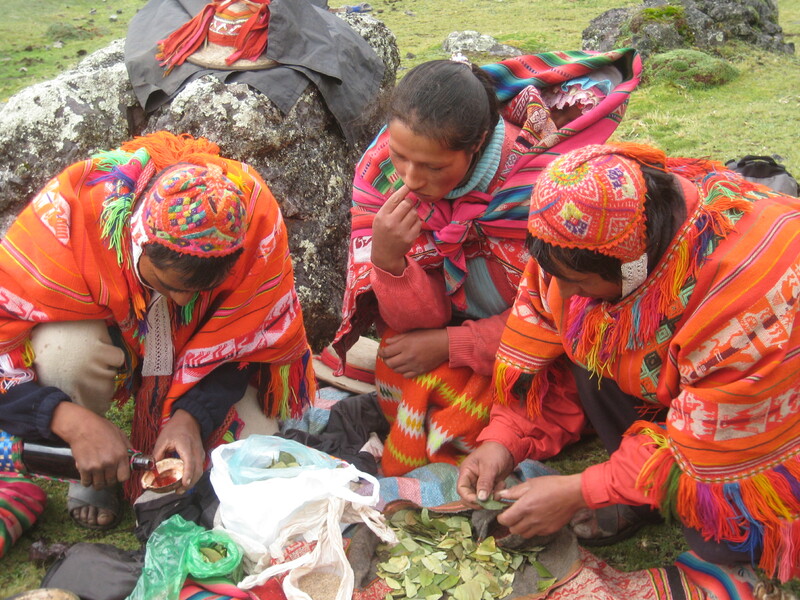 Let by Fortunato’s father, the men made kintus (three coca leaves) and blew on them, asking the blessings of the gods. 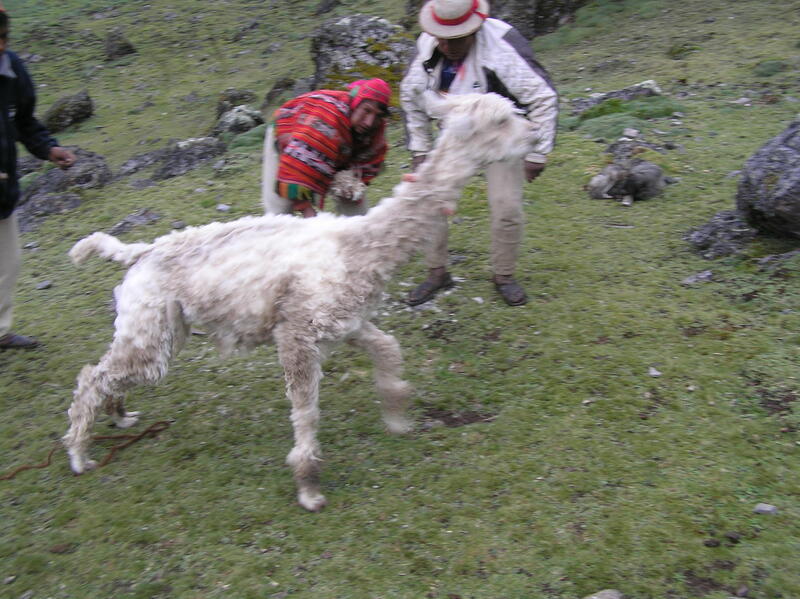 Later, they filled conch shells with wine and threw the wine at the alpacas. We followed suit like a bunch of ignorant gringos allowed to participate in an ancient ceremony. 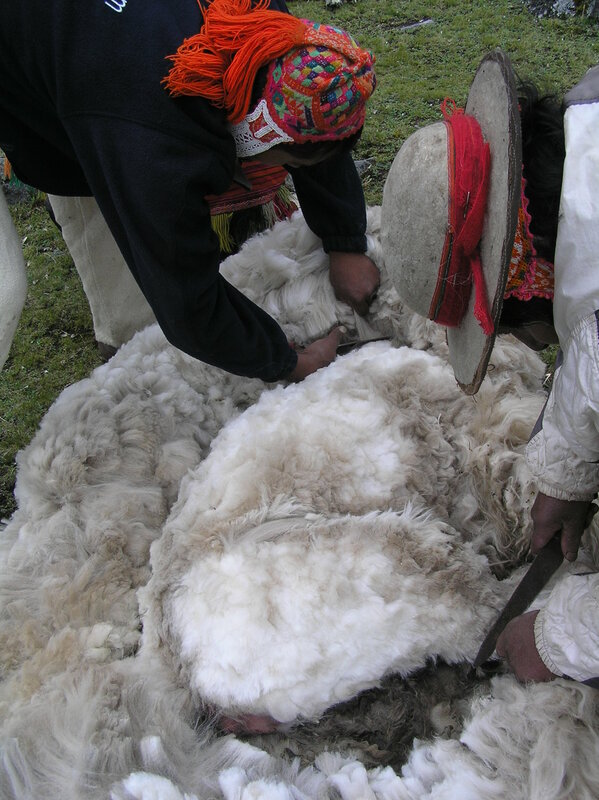 When the wool is cut away, the alpaca is very small and skinny underneath. 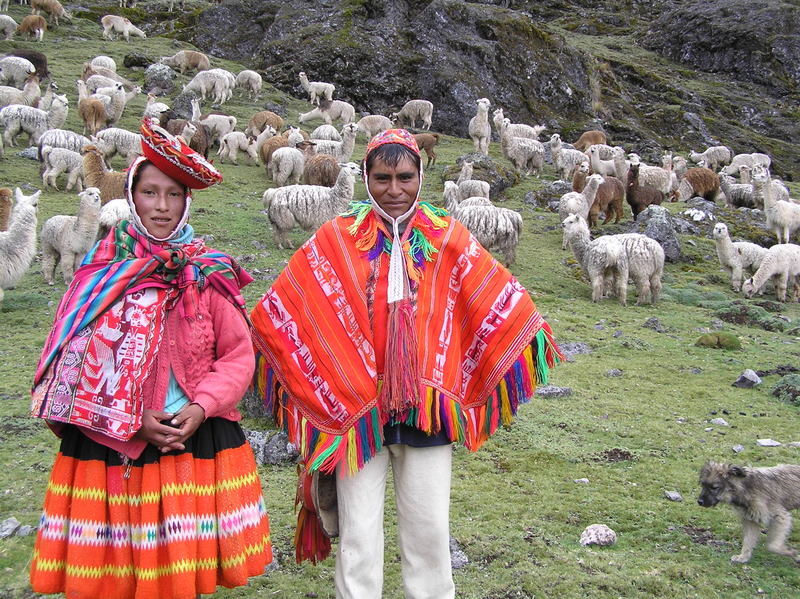 The fleeces were bundled away and we were shepherded back down the hill where a lunch of guinea pig and trout (caught in nearby Ipsaycocha) was proudly served up to us. As we were eating, Norman arrived (with the despatch & more gifts of food for the family), accompanied by Fortunato’s nieces and nephews which were returning from school. 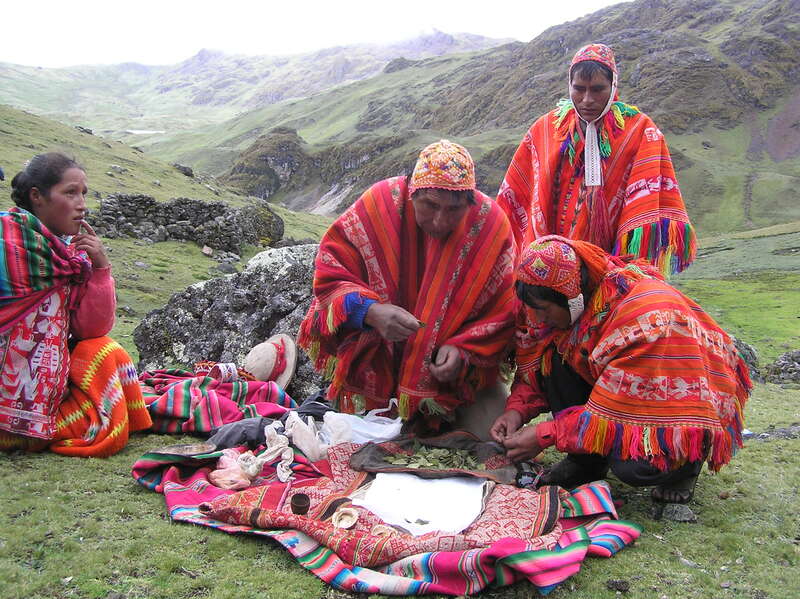 (Yes, they walk some 1.5 hours in difficult terrain daily, just to reach school). 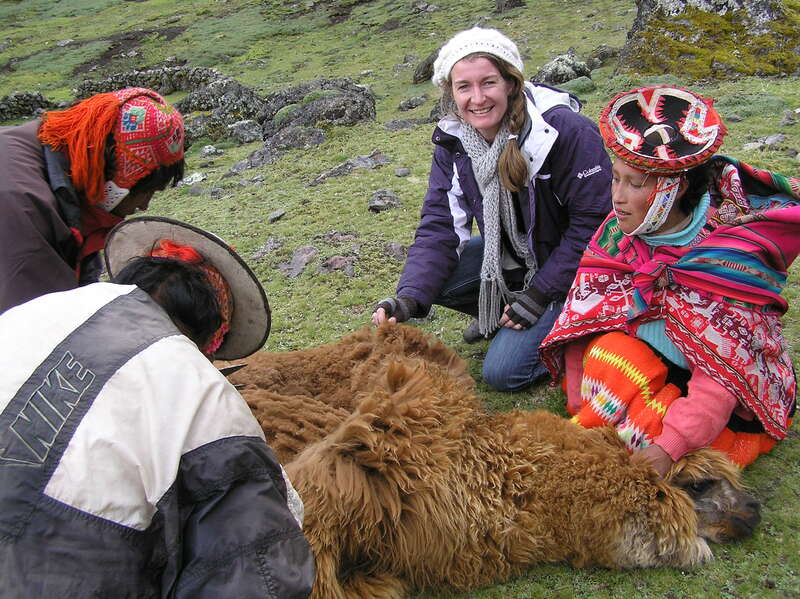 In all, a fascinating and spiritual day – and now we know a little more about ‘baby alpaca! And special thanks to Kelsey’s parents for their fortitude given they had just arrived in Peru! This entry was posted in Uncategorized by angiehodder. Bookmark the permalink. Thanks for such an informative post! I would love some of that baby alpaca for my felting…… can we buy online??? 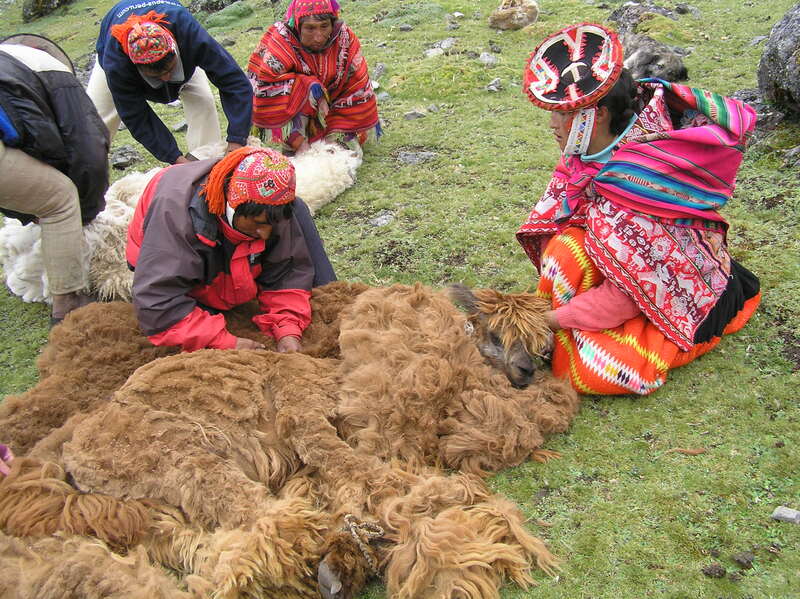 Unfortunately, we don’t sell raw wool. I looked at your Etsy store – what gorgeous work you have!